With SAVY® Driver you can conveniently manage your family's entire driving life - right on your phone. Schedule sales and service appointments. Receive recall notifications and service reminders. Digital access to inventory with ability to track vehicles on watchlist. Digital glovebox safely stores vehicle documents. 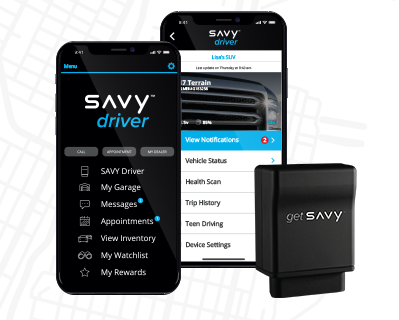 OUR FREE SAVY DRIVER APP. Download today and select our dealership. SAVY® Driver is a trademark of APCO. EasyCare is a registered trademark of APCO. All other trademarks cited herein are the property of their respective owners.